Autodesk Navisworks model. 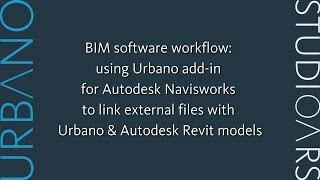 The add-in will work with a 3D model from all sources compatible with Navisworks e.g. Autodesk® AutoCAD®,Autodesk® Revit®,Autodesk® Civil 3D®, Urbano etc. For smart linking to the function, there must be a common pre-requisite: a naming rule. Most frequently, the document name must match some data existing within the model e.g. array/axis name, structure name, object name. - Linking the same document with a large number of different elements. - Linking a large number of documents of various file types with a large number of different elements. - Linking a large number of documents of various file types with a large number of equal elements. Once installed, you must register for your free license to start working.